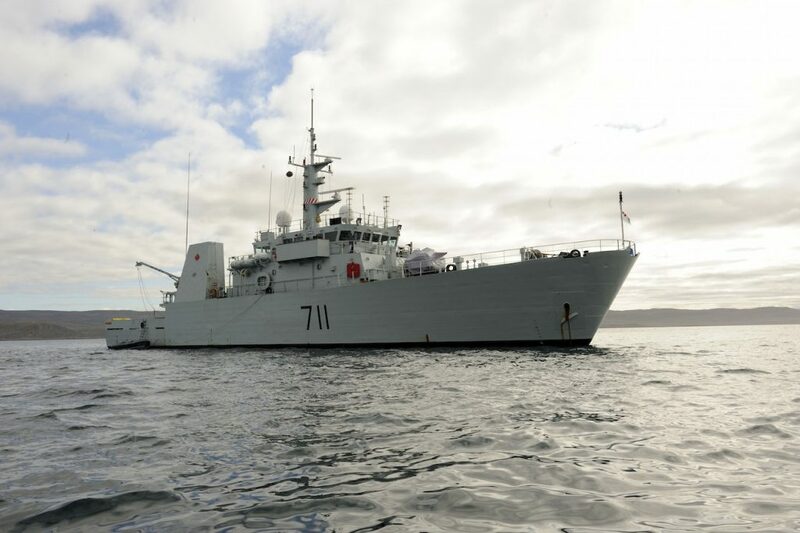 The Royal Canadian Navy is coming to the Redpath Waterfront Festival, presented by PortsToronto, for the first time and will be stationed in Harbour Square Park from July 1 to 3. The public is invited to join the Navy for their daily run, test their fitness in a Navy­‐themed obstacle course, watch the Urban Fresh Navy Cook Off and tour the decks of two Coastal Defence Vessels. Canada’s naval force consists of approximately 13,000 full and part-time military members and 3,700 civilians stationed across the country. Its missions range from humanitarian assistance and disaster relief, to deterrence, to full combat operations all around the world. 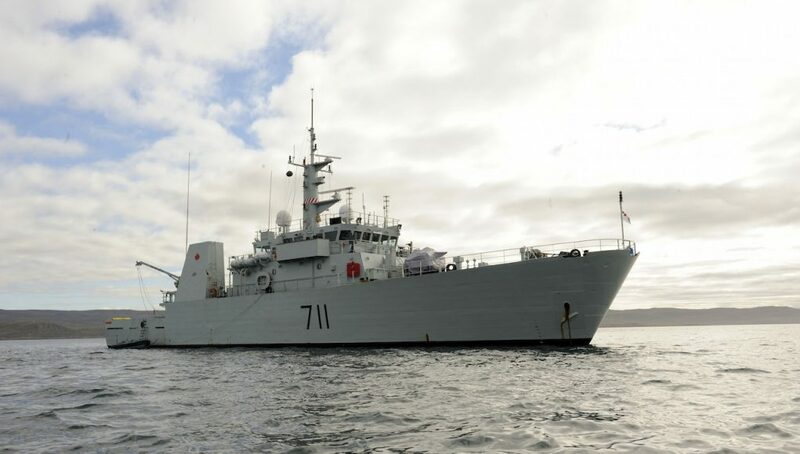 Visitors will have the opportunity to tour the decks of two of the Navy’s 55‐metre Maritime Coastal Defence Vessels, Her Majesty’s Canadian Ships (HMCS) Kingston and Goose Bay, throughout the weekend for free. Both vessels are warships with the primary mission of coastal surveillance and patrol, including general naval operations and exercises, search and rescue, law enforcement, resources protection and fisheries patrols. Early risers can come to Harbour Square Park and join the Navy for a fun and motivating 5 km run along the Martin Goodman Trail, July 1st and 2nd at 8am. Her Majesty’s Canadian Ship Summerside anchors in Iqaluit. The Summerside was doing a Relief in Place (RIP) stop during Operation NANOOK 11. Operation NANOOK 11 is a two-part operation. The first part is a sovereignty and presence patrolling operation employing the Canadian Forces in the air, on land and at the sea as well as international partners from the United States and Denmark. The second part of Operation NANOOK 11 is a Canadian whole-of-government exercise that includes a simulated major air disaster and a simulated maritime emergency exercise. Operation NANOOK 11 is the centerpiece of three major sovereignty operations conducted annually by the Canadian Forces in Canada’s North. Exercising Canada’s Arctic sovereignty is a priority area of Canada’s Northern Strategy and such operations enable the Canadian Forces to demonstrate its ability to operate effectively in the challenging environment of Canada’s North. Operation Caribbe is Canada’s contribution to Operation MARTILLO, a US Joint Interagency Task Force South (JIATF-S) operation. JIATF-S is a US National task force responsible for conducting interagency and regional security operations and facilitating the interdiction of illicit trafficking of drugs, weapons, money and personnel. Then, test your fitness levels at the RWF’s fun Navy­‐themed obstacle course that happens all weekend long. Crews from the participating ships will compete against each other and the Navy as well as Toronto Fire, Toronto Police, the Argos Cheerleaders and more! The course features a wall climb, over/under, pyramid box jump over, web crawl, camo crawl, balance beams and monkey bars. The public is invited to try the obstacle course between competitions. Two selected Navy chefs will compete in the Urban Fresh Navy Cook Off sponsored by Sobeys Urban Fresh on Saturday July 2 in Harbour Square Park from 12:00 pm to 2:30 pm. These Naval chefs, one from each coast, will go head­‐to-­head in a heated competition judged by a panel of experts including 2014 Masterchef Canada winner, Chef Eric Chong. Chefs will be presented with a black box of mystery ingredients to create something delicious in the tight quarters of the galley onboard each ship. Watch the action as the competition heats up live from the galley camera on the big screen in this park. In addition to the Royal Canadian Navy, Parks Canada will be located in Harbour Square Park. Celebrate the fascinating heritage behind our National Parks, Historic Sites and Marine Conservation Areas. Learn about the spectacular underwater vistas of hundreds of rivers, lakes, and thousands of kilometres of coastlines in Canada. Take an arctic dip or paddleboard on the Great Lakes with their interactive Green Screen Photo Booth, or learn about the northern discoveries of the Franklin shipwreck. Kids can enjoy airbrush spray tattoos and getting their photo taken with Parks Canada’s mascot. Fun for all ages! After the resounding success at RWF last year, the Waterfront Artisan Market (WAM) presented by the Waterfront BIA in partnership with Toronto Market Company (TMCo), returns to HTO Park with a carefully curated mix of 50 top artisans, crafters, chefs and bakers. Browse and shop for finely crafted jewellery, unique works of art, delicious foods and artisanal gifts. Those who are looking to discover food will find more than 20 cook-on-site food vendors. Also returning is the Ultimutts Stunt Dog Show, which will be featured at Purina Paws Way July 2nd and 3rd, featuring non­‐stop, jaw dropping tricks from adorable rescue pups. See them play piano, do handstands, skateboard, tightrope walk and so much more. Take a break and experience live music, dance demos, live art and buskers at the Simcoe and Rees WaveDecks provided by the Waterfront Toronto and Daniels Waterfront – City of the Arts. On the final day of the festival, July 3, there will be a Grand Finale Parade of Sail with all participating ships plus unique local vessels. The ships will tour the harbour and then sail along Toronto’s dock wall from west to east. Previous RWF Parade of Sails have attracted hundreds of thousands of spectators along the entire stretch of Toronto’s waterfront. General admission to the festival is free and a detailed list of scheduling and program information is available on the festival website www.TOwaterfrontfest.com. Previous articleThe Queen’s Quay is Now Open for Business!